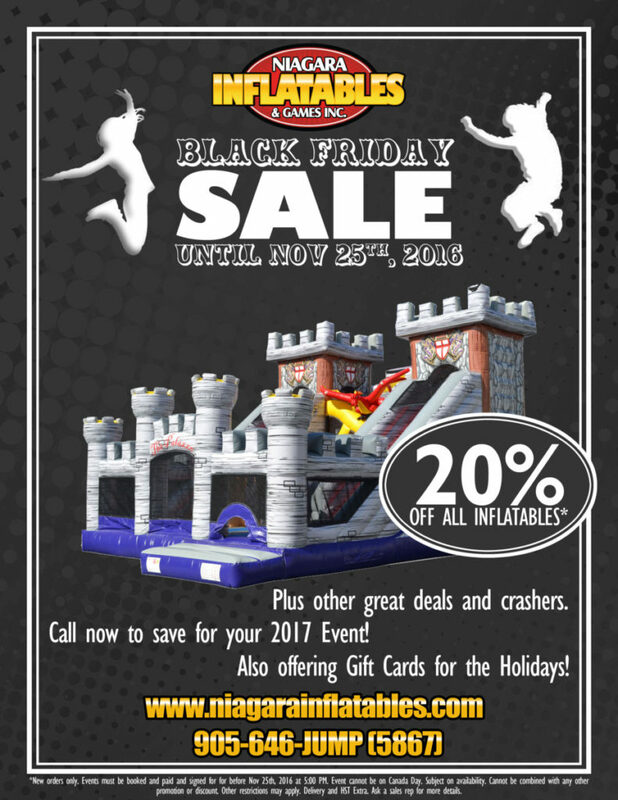 Residential or commercial events, get 20% off bouncers, combos, slides, inflatable movie screens, obstacle courses, toddler units, inflatable climbing challenges, inflatables mazes and inflatable interactives and promo items. Get Stuffy’s Birthday Party Package at 20% off. Includes Pizza, Popcorn, Drinks and Bouncy Castle. Bonus hour time. Book the photo booth and get 1 bonus hour of event time with your rental at $599. From November 21-25th, sign and pay for your event to take advantage of these single day promos. No exceptions. Check out our Facebook page daily for each phone crasher. New orders only. Events must be booked and paid and signed for for before Nov 25th, 2016 at 5:00 PM EST. Event cannot be on Canada Day. Subject to availability. Cannot be combined with any other promotion or discount. Other restrictions may apply. Delivery and HST extra. Ask a sales rep for more details.